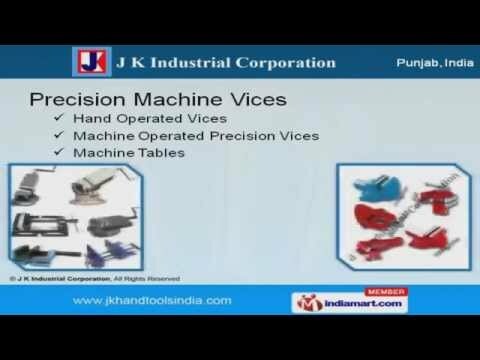 Welcome to J K Industrial Corporation, Manufacturer and Exporter of Hand Tools and Parts. The company was established in the year 2002 at Ludhiana. We Follow DIN, ISO and ANSI standards and Export to Japan, Italy, Australia and others. Stringent quality checks, Excellent transport facility and International quality standards are the strengths of our organization. We offer a wide array of Spanner Wrenches, Tools and Equipments. Our Spanner Wrenches are widely appreciated in the market. Precision Machine Vices offered by us are extremely reliable. Our Tools and Equipments are available at industry leading prices. We also provideÂ PlierÂ Sets and Steel Files that are best in the industry. Along with that we offer Tool Kit Bags are setting a benchmark in the market.